That determination and attitude started young. Cathy grew up in Los Angeles the oldest of four daughters and admits to being “treated functionally as my dad’s only son.” Even from a young age, she was encouraged to participate in math, science and athletics, despite these pursuits not being popular for girls at the time. When she got to Pomona College for her undergraduate degree, the university didn’t have a women’s diving team. She loved the sport, so rather than quit, she competed for the men’s team. In college, Cathy randomly took a wine appreciation class, which ignited her lifelong love affair and shifted her keen, laser focus completely toward wine. Two days after getting her undergraduate degree, she was in Napa Valley knocking on doors of tasting rooms. The valley was quiet back then, but she managed to get herself some odd jobs that would keep her around wine. From there, Cathy began commuting to U.C. Davis, where she ultimately got her master’s degree in enology. In 1983, she landed the Head Winemaker position at Chappellet. Her timing was good. Napa Valley was just starting to get world recognition and, according to Corison, “ladders were short and there were wonderful opportunities for all of us getting out of school, regardless of gender.” It didn’t hurt that she stopped by late one afternoon during harvest when a pump had broken. “With one pump down, they were going to be there all night - but it just needed a new fuse,” she laughs. She was able to fix their pump, and consequently, secure herself a new job. 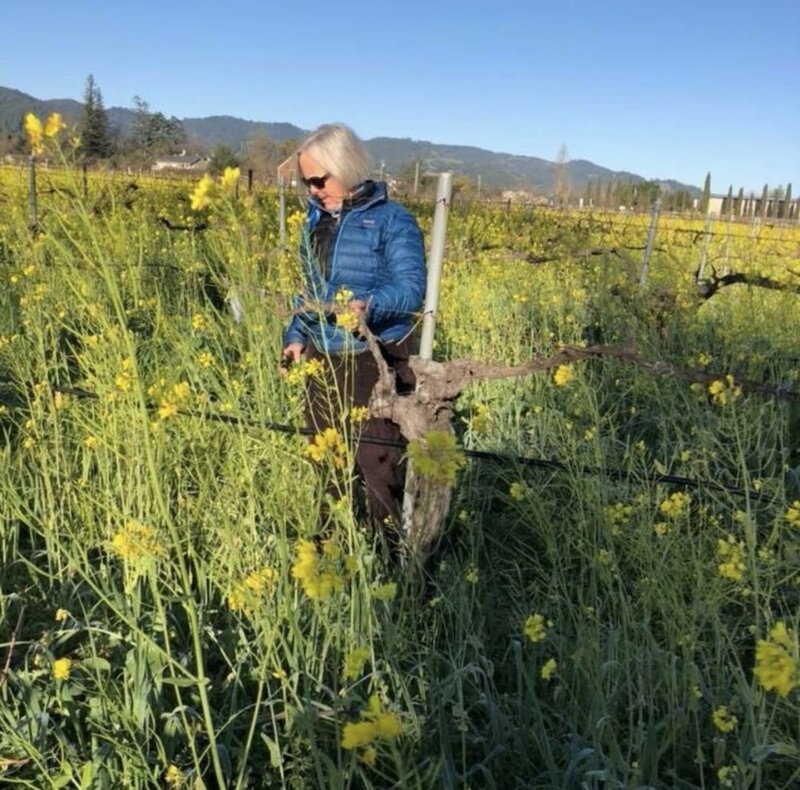 In 1989, she left Chappellet and began focusing on her own wines. When she asked her husband (a.k.a. business partner) to find a vineyard on the benchland between Rutherford and St. Helena, he delivered. They purchased Kronos Vineyard in 1995. Five years following, they built their winery on the property. More recently, they acquired the “Sunbasket” vineyard which they had been sourcing from for the past 25 years with Shafer. Throughout all this time, her wines have stayed consistent in style, delivering incredible power balanced with restraint and elegance. Often called “sommelier wines,” these are beautiful wines that show dramatic style and pair well with food.